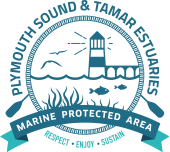 We use the term ‘Marine Protected Area’, or MPA, as a general way of describing the Plymouth Sound & Tamar Estuaries marine site because it is protected (designated) under multiple pieces of European and UK legislation. 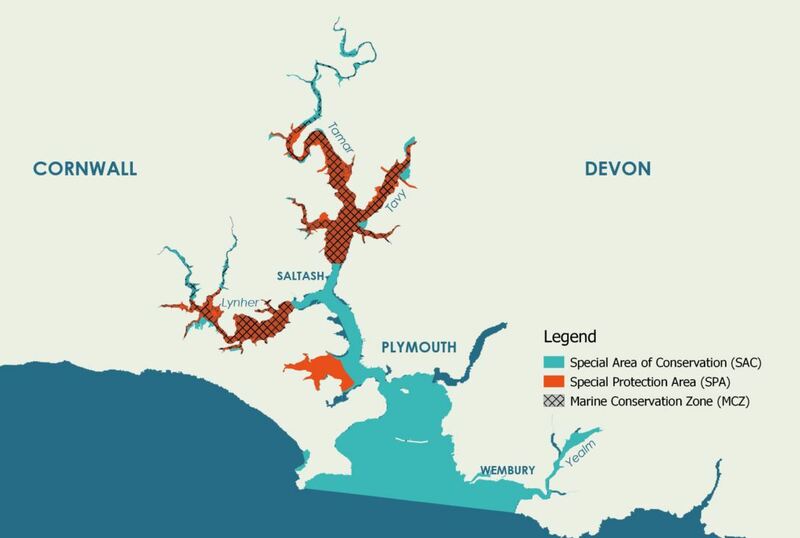 The legislation that applies protection to our marine areas can be complex and, because of the wide variety of internationally important marine habitats and species that are found in our MPA, the Plymouth Sound & Tamar Estuaries are no exception. We have three key marine designations, along with overlapping terrestrial and coastal protected areas around the site. Legislation: EC Habitats Directive 1992 (European), The Conservation of Habitats and Species Regulations 2010 (UK). Qualifying features: Allis shad (Alosa alosa); Atlantic salt meadows (Glauco-Puccinellietalia maritimae); Estuaries; Large shallow inlets and bays; Mudflats and sandflats not covered by seawater at low tide; Reefs; Sandbanks which are slightly covered by sea water all the time; Shore dock (Rumex rupestris). Designated: 1 April 2005 Area: 6,402 hectares. View the Natural England Conservation Advice for the SAC online here. Legislation: EC Birds Directive 1979 (European), The Conservation of Habitats and Species Regulations 2010 (UK). 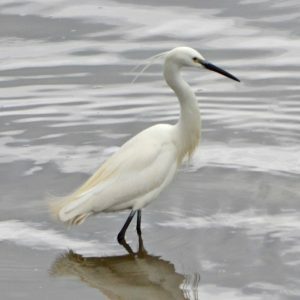 Qualifying features: Avocet (Recurvirostra avosetta), non-breeding; Little egret (Egretta garzetta), non-breeding. Designated: 26 June 1997 Area: 1,955 hectares. View the Natural England Conservation Advice for the SPA online here. Legislation: Marine and Coastal Access Act 2009 (UK). 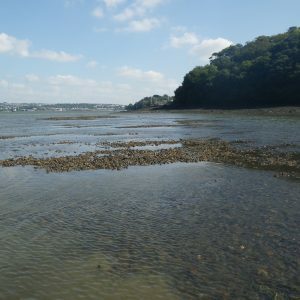 Designated features: Blue mussel (Mytilus edulis) beds; Intertidal biogenic reefs; Intertidal course sediment; Native Oyster (Ostrea edulis); Smelt (Osmerus eperlanus). Designated: 21 November 2013 Area: 1,530 hectares. 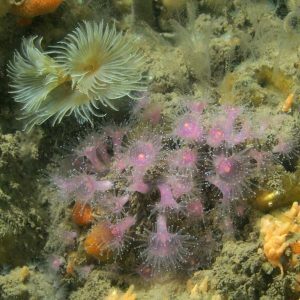 View the Natural England Conservation Advice for the MCZ online here. There’s a rich diversity of internationally important marine life found in the Plymouth Sound & Tamar Estuaries Marine Protected Area. 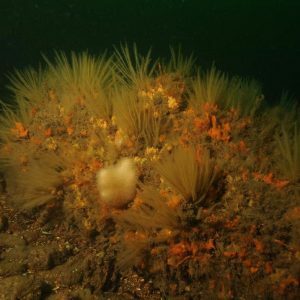 Species and habitats that are recognised as protected are often referred to as ‘designated features’, and may be selected for a number of reasons, including their importance to marine ecosystem health or the fact that they are rare or in decline. Many also provide us with important ecosystem services, supporting food production, providing flood protection, removing CO² from the atmosphere, and recreational, health and wellbeing benefits. 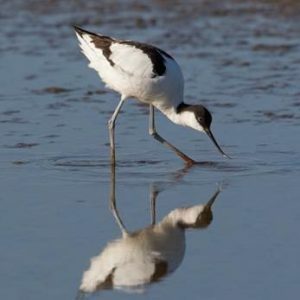 The mudflats and sandflats on the Tamar and its tributaries, as well as the Yealm Estuary, are home to incredibly rich infaunal communities (animals that burrow into the substrate) that provide rich feeding grounds to wading bird populations, including avocets and little egrets. A variety of species can be found, including ragworms, peppery furrow shell (Scrobicularia plana), cockles, bivalves and various polychaete and oligochaete worms. Mudflats in and around St John’s Lake are also host to intertidal seagrass (Zostera noltii). 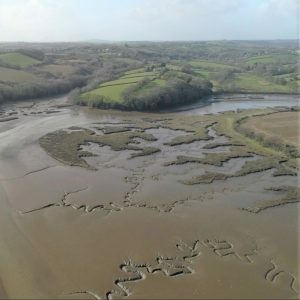 Salt meadows (or saltmarshes) are uncommon in the South West and the saltmarshes of the Tamar are of national importance. They’re also regionally important for species such as wading birds, that are reliant on this habitat. 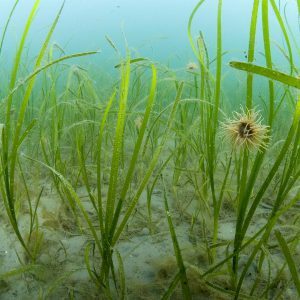 The Tamar boasts the only population of the triangular club rush (Schoenoplectus triqueter) in the UK. 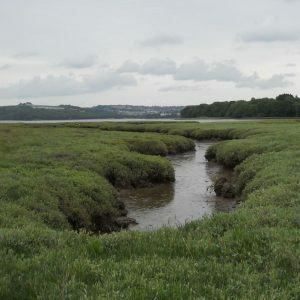 Areas of saltmarsh can be found at the borders of the mudflats along the Tamar, Tavy, St John’s Lake and particularly the Lynher. Allis shad is a rare migratory fish, that spends much of its adult life at sea. Once matured, they head for freshwater at the top of the estuary and when the temperature’s right, they spawn at night, laying their eggs on the river bed. After the young fish hatch they stay in the estuary to mature before retracing their parent’s journey. 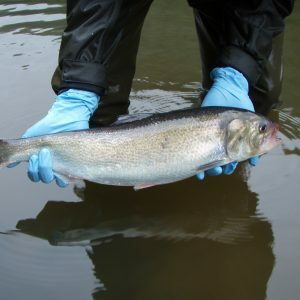 The Tamar is the only known Allis shad spawning site in the UK. The Tamar Estuaries MCZ is currently the only site designated for smelt because of its importance as a spawning ground for the species. 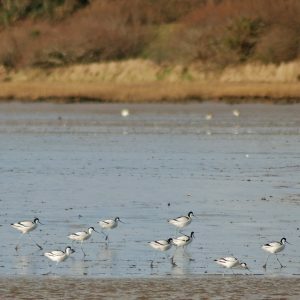 Around February-March, mature adults migrate, in sometimes large numbers, up the Tamar Estuary to the tidal reaches at Gunnislake Weir to spawn in the freshwater areas of clean gravel there. 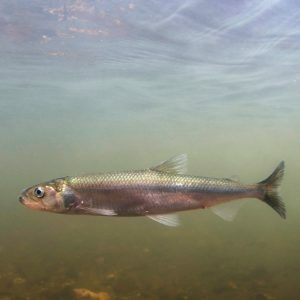 Smelt are under threat from pollution and over-fishing, as well as habitat loss (particularly of spawning grounds) or the bocking of migration routes by weirs and other barriers. Shore dock is found in only two locations in the Plymouth Sound & Estuaries SAC – Wembury Bay and Rame. It is one of the most threatened endemic vascular plants in Europe. 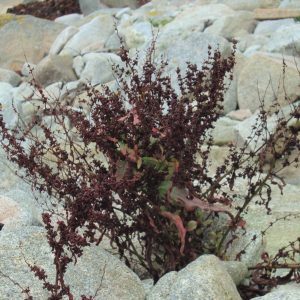 Shore dock favours habitats where there is a consistent source of freshwater. There are many famous maritime stories from Plymouth throughout history. 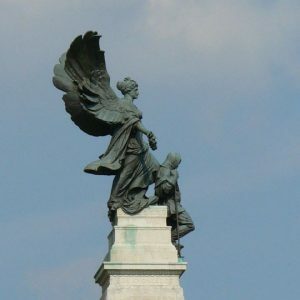 In 1588, English Navy set sail to meet the Spanish Armada in battle from the Plymouth Sound, establishing what would become an enduring military presence in Plymouth. Less than 40 years later, the pilgrims would set sail from Plymouth to the New World aboard the Mayflower. But Plymouth’s maritime heritage is rich and varied, from a long history of marine scientific research, to exploration and discovery – the endeavours of Sir Francis Drake and the pilgrims are just two examples. The largest naval base in Western Europe, and one of three operating bases in the UK, alongside HMNB Firth and HMNB Portsmouth, HMNB Devonport has been supporting the Royal Navy since 1691. Covering over 650 acres, Devonport has 15 dry docks, four miles of waterfront, 25 tidal berths and five basins. 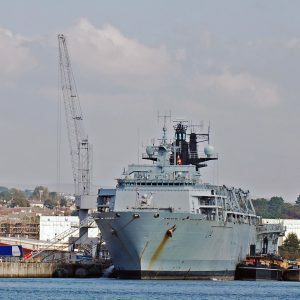 It’s home to Britain’s amphibious ships, survey vessels and half her frigates, plus the training hub of the front-line Fleet, FOST, and the Royal Navy’s Amphibious Centre of Excellence at RM Tamar. ● On 27 December 1831, HMS Beagle set sail from Plymouth on its second surveying voyage. The expedition went on to become one of the most significant voyages of exploration in maritime history, thanks to the ship’s naturalist – a 22-year old Charles Darwin. ● Plymouth-born Captain Robert Falcon Scott is perhaps better known as Scott of the Antarctic. He perished in March 1912, with four companions, on the ill-fated Terra Nova Expedition as they made a 1,600-mile return journey on foot from the South Pole – they were 150 miles from their base camp when they died. They were beaten in their quest to be first to the pole five weeks earlier by Roald Amundsen’s party. ● Sir Ernest Shackleton and the crew of the Endurance set off from Plymouth in 1914 on the Imperial Trans-Antarctic Expedition to attempt the first land crossing of the Antarctic. The ship became trapped in the ice and eventually sank, but Shackleton and his entire crew survived in what is now recognised as an amazing feat of endurance. 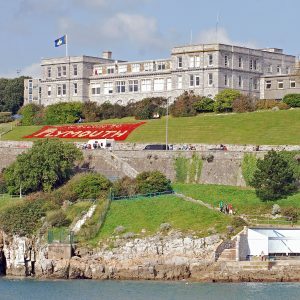 ● The Marine Biological Association, located on the Hoe, is one of the world’s longest-running societies dedicated to ocean research. Founded in 1884, they run a leading marine biological research laboratory where many eminent scientists, including 7 Nobel prize winners, have carried out research. ● The University of Plymouth’s Marine Institute is the first and largest of its kind in the UK. Their world-leading experts research the relationship between the way we live, the seas that surround us and the development of sustainable policy solutions, using their state-of-the-art facilities. ● For more than 40 years, the Plymouth Marine Laboratory have provided evidence-based environmental solutions to societal challenges, promoting stewardship of the seas with far-reaching impacts for marine science. ● Submerged early landscapes dating back to 4000-2000BC. 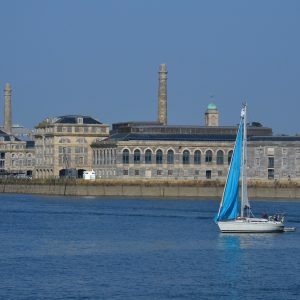 ● Archaeological evidence dating approximately from 1250AD reveals the great importance of Plymouth’s connections with other ports in Britain, Europe and further overseas. ● The Cattewater wreck at the entrance to the Cattewater was the first to be designated under the Protection of Wrecks Act 1973. ● Many historic water side and industrial related sites, including fish cellars, quays, mines, processing plants, garrisons and the Royal William Victualling Yard.